Township Afterschool Programmes in the Western Cape and Gauteng achieve 93% matric pass rate! National matric pass rate percentages belie the unacceptable reality that for the most part, those who perform well in matric attend good schools and receive the kinds of support that come with being middle class. The majority of South African learners’ destinies are in danger due to socio-economic realities that predetermine the quality of education and support they’re able to access. Thankfully, there are hundreds of initiatives across the country who are working to redress this inequality, by providing much-needed support across the country. Behind every matric cohort are teachers, parents, siblings and friends who are dedicated to seeing learners achieve. Learners lucky enough to be part of after-school tutoring programmes have tutors and programme staff as part of these teams, who are committed to doing all it takes to ensure that learners succeed. IkamvaYouth and The Learning Trust have partnered to provide training and support to such programmes; fostering collaborative effort to achieve collective impact. 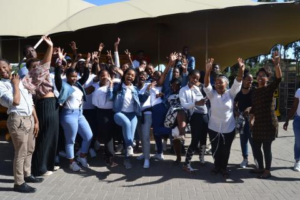 In 2017, ten partner organisations participating in the Community Collaboration Programme (CCP) supported 129 Grade 12 learners who collectively achieved an incredible 93% pass rate. 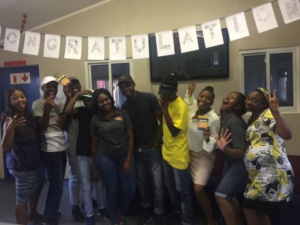 87 learners achieved either bachelor or diploma passes; evidence of the power of safe spaces where learners can access care and academic support after school. One of the learners from Just Grace, Lisakhanya Mpeta says “Matric 2017 was tough; it required a lot of sacrifices and a shift in focus. I spent most of my time at school, day and night, but in the end, I made it with a bachelor pass and a distinction. This year I will be studying Mechanical engineering at CPUT”.